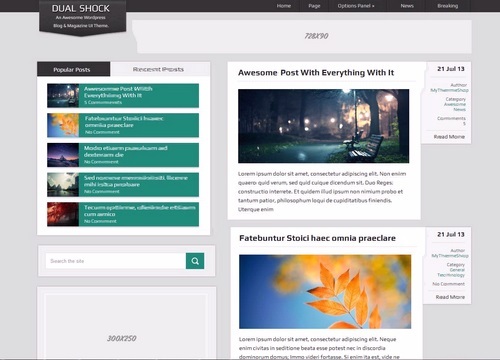 DualShock is a 100% free, dual purpose responsive blog and magazine UI theme. DualShock features a unique layout, with custom widget styles, and fancy post meta info boxes in a design you won’t find anywhere else. It’s fully customizable from the options panel, so you can change the color scheme, backgrounds and more, and also includes custom widgets. They have included search engine optimizations to help your site rise to the top, and translation-ready features so you can reach an even bigger audience. Decide for yourself. Like most WordPress themes this theme may also have some lock-in features.